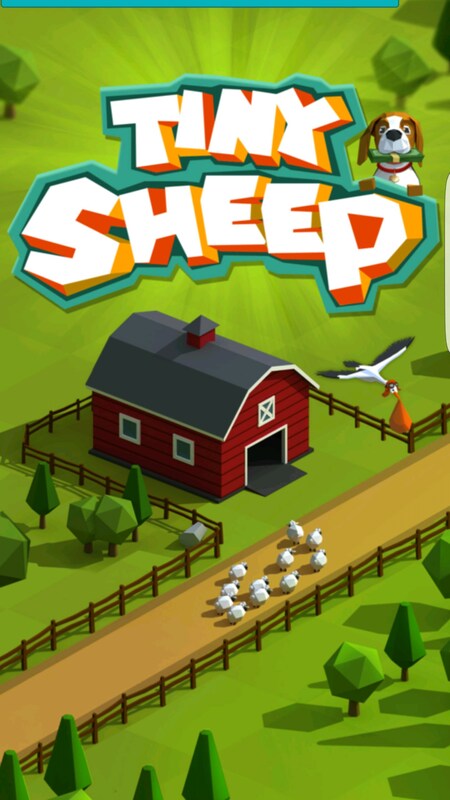 Tiny Sheep – Games for Android 2018 – Free download. 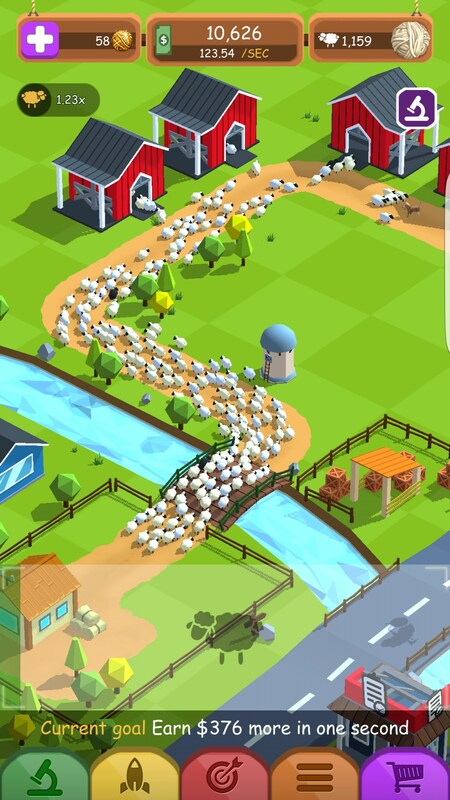 Tiny Sheep – Become a wool-making king. Picture the most exciting animal you can think of. Is it a polar bear? A Komodo dragon? 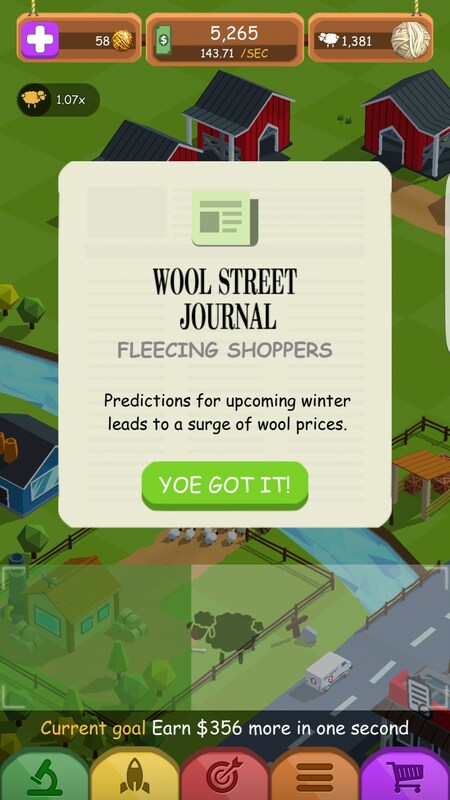 The chance of me guessing which animal you thought of is slim, but there’s a good chance you didn’t think of a sheep. 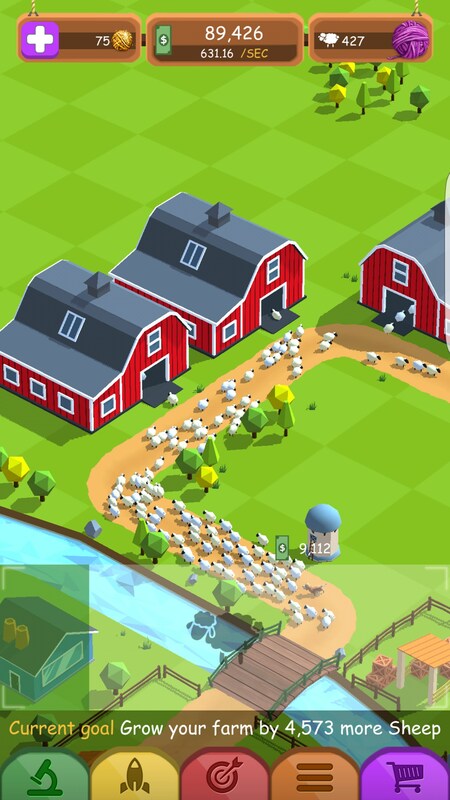 But I think Tiny Sheep for Android is a game tapping game that may change your mind. 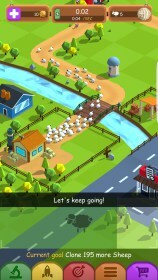 At its heart, Tiny Sheep is a tapping game, but it treats tapping a bit different than what you might think of the mechanic in a conventional setting. 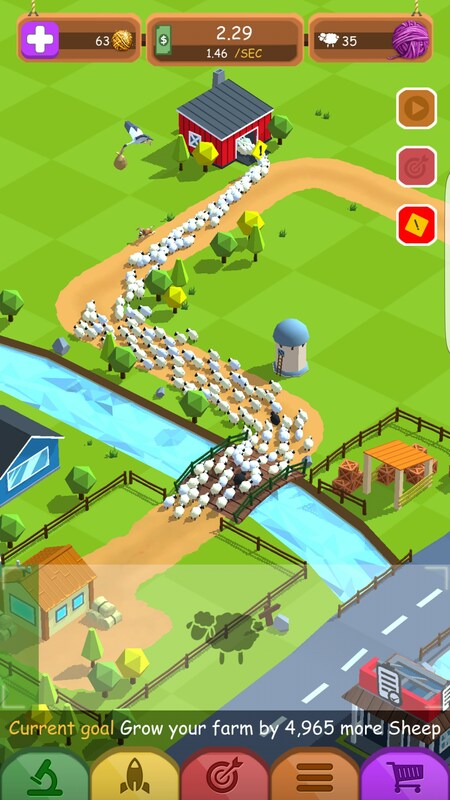 In this game, you run a ranch that raises sheep for their wool. Every aspect of what you do is surrounded by this mechanic. 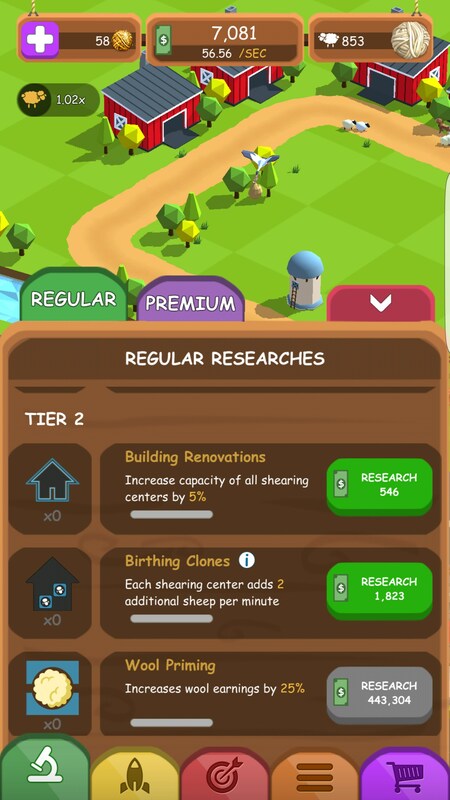 Money is earned passively, of course, but you need to tap on the screen in order to clone your sheep and send them to be sheared. Fortunately, when you create the sheep, they are a permanent upgrade to your ranch - the passive money they generate is permanent. 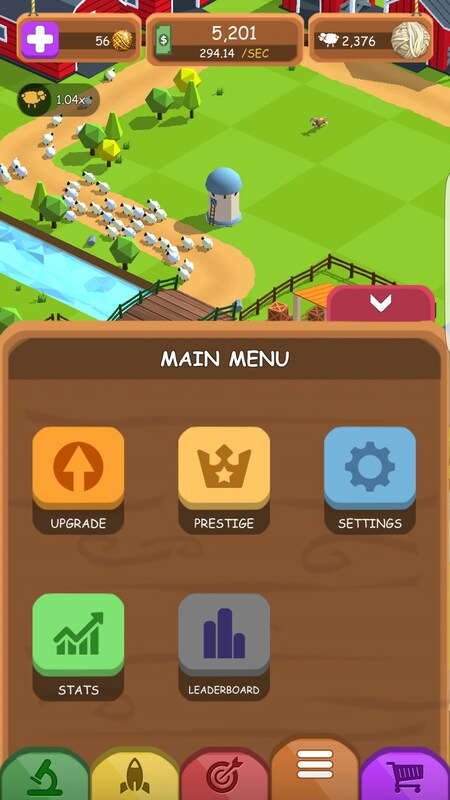 This brings in a new mechanic not really seen in other tapping games before because it actually limits your tapping ability in tiers. 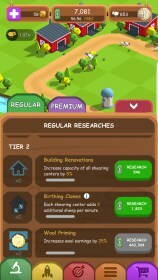 First, your ability to clone is limited by a bar that takes time to regenerate - it’s quick to regenerate, but still there. 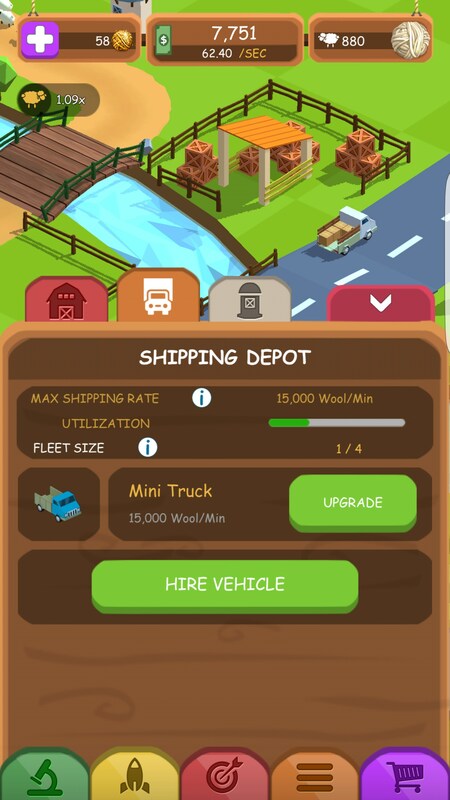 You’re also limited by the amount of sheep you can hold at a time and the amount of wool you can ship out - being forced to spend large amounts of money to upgrade these aspects of your ranch. 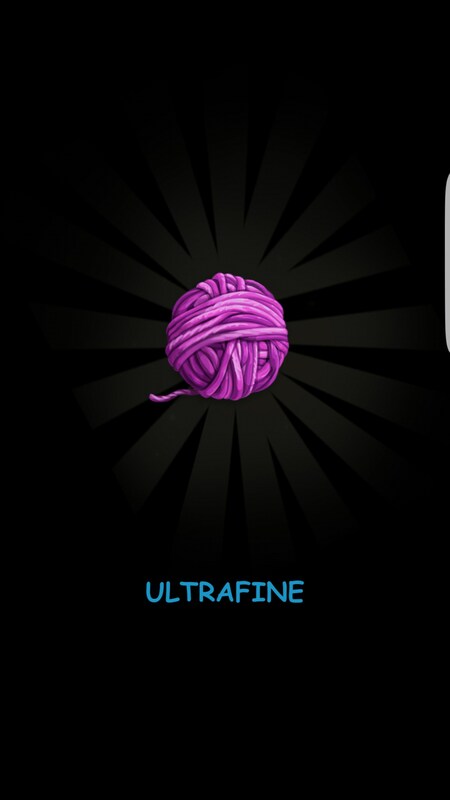 I really enjoyed this part of the game because it kept tapping relevant. 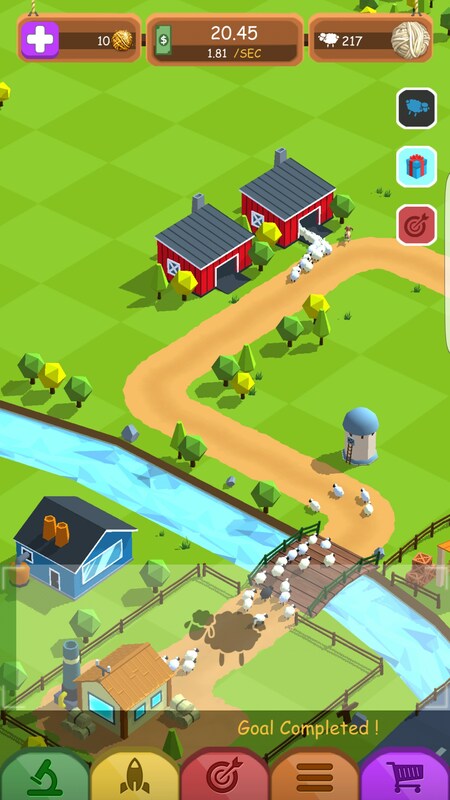 In most tapping games, the game will eventually turn into something completely passive, but not this one. 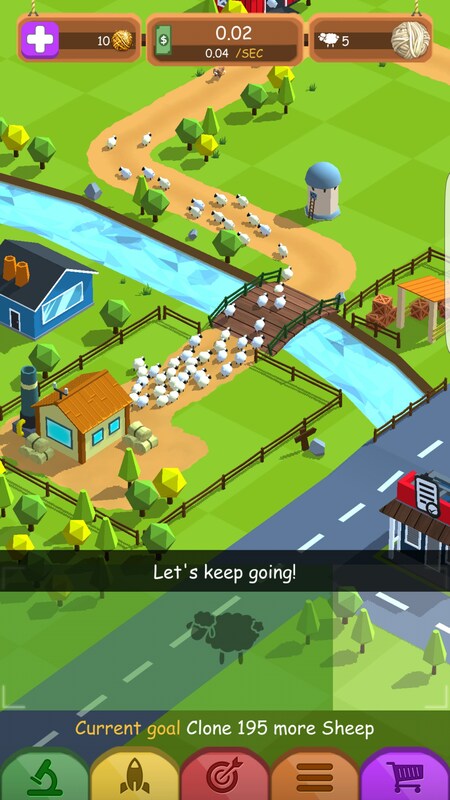 Like other tappers, Tiny Sheep affords you the opportunity to upgrade your farm, and includes many of the other same mechanics you’re familiar with. This is a game I still have installed on my phone, though. 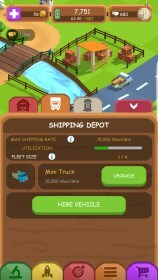 It’s fun, pretty passive but still requires manual input from me.